The case for rigorous and robust K-12 school arts programs, and my MOTOWN THE MUSICAL experience. To all of my STEM (science, technology, engineering and mathematics) colleagues-friends, not to worry, no I have not abandon the STEM cause! Those who don’t know me will be surprised to discover what those who have actually worked with me already know, that when I served as either a principal or superintendent, I was a big (staffing and financial resources) supporter and champion of the arts. An active promoter to the extent that over the years, some folks were very upset with me when I instituted foundational and advanced art programs, instead of what they thought were more ‘fitting’ and ‘appropriate’ activities for students of color. It was as if to say: “These children don’t have the time or talent to waste on engaging with the arts!” Yes, this was a common spoken or unspoken belief I often encountered as an educational leader, and a belief I sought at all cost to destroy and dismantle. And sadly, for many Black US citizens, and professional educators the ‘arts’ begin and end with a school marching band and/or a talent show that features groups of ‘uncoached’ kids engaging in “shake your booty” (SYB) dance performances. That is what I encountered early in my tenure as a superintendent of CSD 29Q NYC. I attended two very different school talent shows, in different parts of the district. In one school the students actually demonstrated a learned and practiced talent (violin, piano, singing, dramatic/oratory presentation, modern dance, etc.). In another school it was SYB all of the time; the students simply took the dances they did at home, and in the street, and just did them up on the stage; and while the principal was smiling proudly from ear to ear; underneath my smile and vigorous applause for the ‘efforts’ of the students, I was inwardly seething. I met later with the principal privately to express my dissatisfaction with his ‘talent show’; and that he was never to invite me to one of these ‘shows’ until the performances presented the real ‘talents’ of the students. But I also provided the principal with some professional coaching and support. I gave him the resources to acquire the services of a dance instructor who could provide the students with technical and choreographical support, and who could also incorporate the student’s interest in ‘hip-hop’ into the dance performances. But to that recent afternoon when I experienced the wonderful MOTOWN THE MUSICAL play at the Birmingham Concert Center. Beyond the great artistic performances, educators should know that the play contains many very powerful American (not just Black) history lessons that can spark an exciting post-performance learning lesson for high school students. 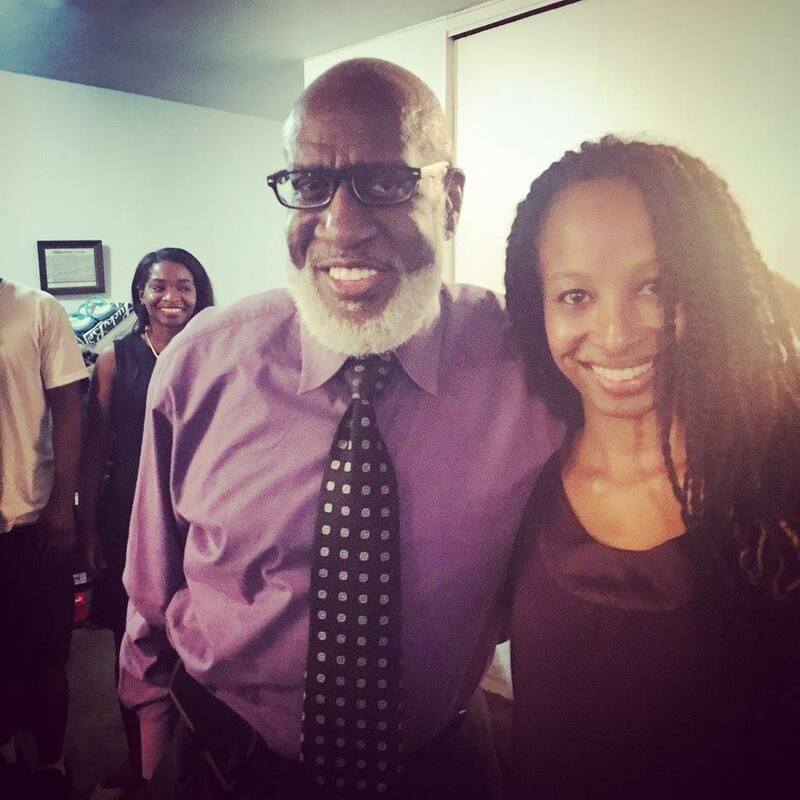 I was connected to Kenneth Mosely, who played Barry Gordy in the play, through the efforts of my niece Dana Marie Ingraham, who is such a prolific actor, that sometimes I feel that she has been in half the plays on Broadway! 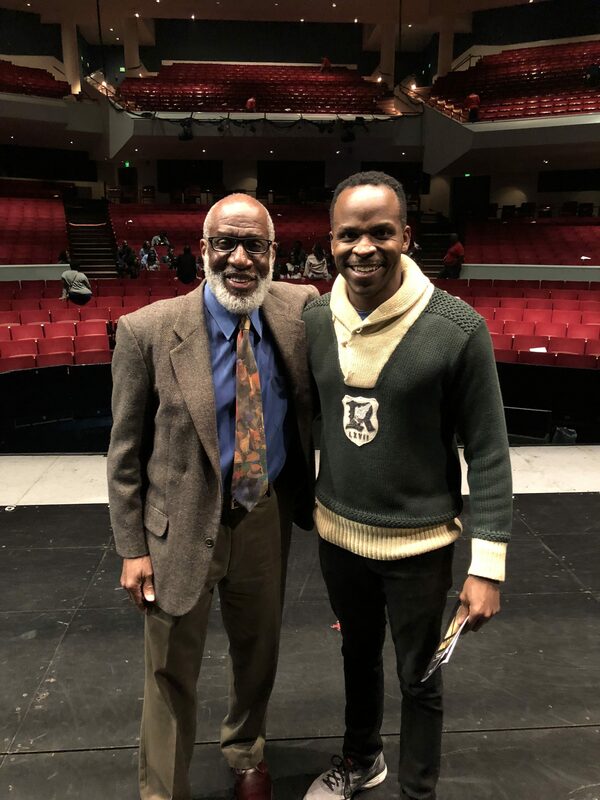 Not only is Mr. Mosely a wonderful and talented performer, he is also very thoughtful about his craft and how it impacts those who come to see him. And of course, as part of our discussion I asked him about his own pre-college learning experience with the performing arts. He shared something with me that I know to be true from my visiting school districts all over this country. 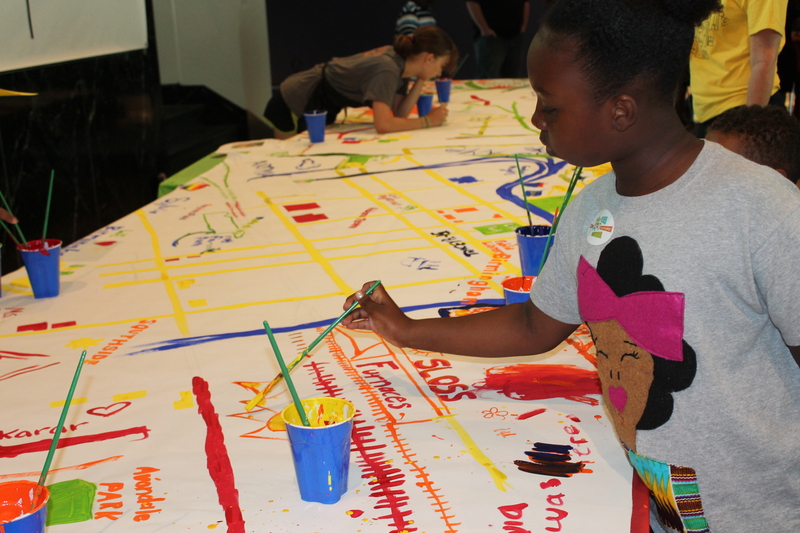 That outside of our major urban centers, our K-12 public schools are in need of a tremendous infusion of specialized art programs and art themed high schools. But for many places outside of NYC and Los Angeles in our nation, there is no comprehensive district wide strategy that is structured to discover and develop artistically talented young folks like Mr. Mosely. 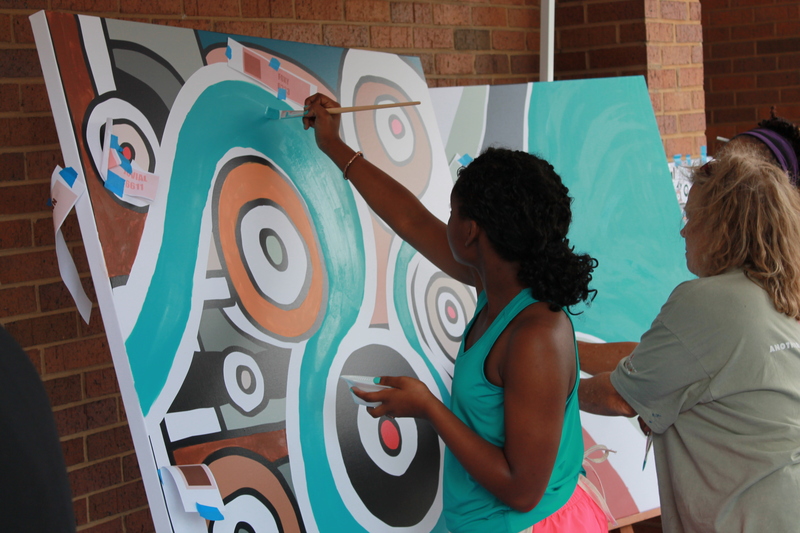 These artistically gifted students simply don’t have access to a rigorous, in-depth and robust K-12 school art development program, and access to a specialized arts high school. Which means in many cases these talented students must find a way to ‘cobble together’ some type of private arts instruction, assuming those communities even have those classes and programs, and also assuming the parents have the resources to pay for art coaching/instruction. The reality I learned from living in three states (Alabama, Louisiana and Mississippi), is that a child in those states who displays elements of giftedness in ‘athletics’, will have a very good chance of not only being discovered early, but being discovered means that young person will also have access to first-rate formal (school), and informal (out of school) nurturing, coaching and training in sports experiences from elementary school through college. They will also receive a great deal of encouragement, emotional support and recognition from: family, school, church, community and the news media… Science, Technology, Engineering, Arts and Mathematics (STEAM), take a seat at the back of the child development bus! I believe our nation suffers from a severe state of a K-12 school art deficiency. Districts and schools are too quick, and in some cases all too eager, to starve the arts at the first chance they are provided with a budgetary excuse to do so. I know as a former superintendent that this ‘deny the arts’ approach do to budgeting ‘issues’ is a false narrative, school districts spend money on what they care about and believe in. Art instruction could also be push aside by school leaders, in favor of the more ‘job-career saving’ standardized testing subjects. The irony here of course is that the higher academically achieving the district and school in our nation, the more likely the presence of a rich offering of art programs. Engagement with the arts would actually help to raise the very academic performance levels in those ‘underperforming’ districts and schools that have so readily abandon them in the effort to raise academic performance levels! But there is another type of cultural starvation that can occur. What if someone like the talented Mr. Mosely does not receive those outside of school art lessons and training? We then place ourselves in the position of not receiving the ‘gifts’ that so many young people bring into the world; and when that happens we are all the poorer for it. Now more than ever we desperately (for our own national safety and sanity) need more art education in all of our nation’s schools. 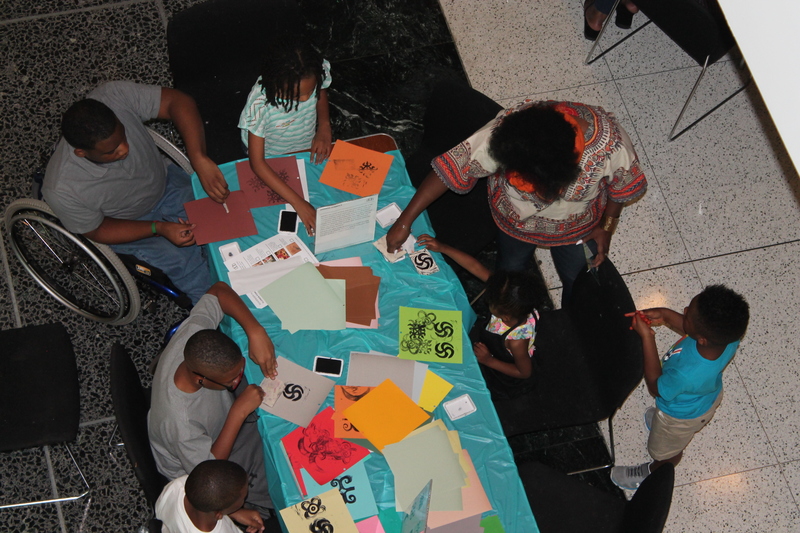 But we also need more pre-K-8 themed art programs, and specialized art high schools, for discovering, unfolding and developing the creative capacities of our young people; whether these students choose to express their artistic creativity in Motown the Musical, or with Microsoft the Multinational Tech Company. *In my soon to be released book; Report to the Principal’s Office: Tools for Building Successful High School Administrative Leadership…http://reporttotheprincipalsoffice.net/ I speak of the child as a never-ending learner; and of a school’s ‘curriculum’ in a Deweyian context (John Dewey; The Child and the Curriculum); meaning school curriculum is not just limited to academic subject areas, to only classroom teaching and learning; rather ‘curriculum’ captures everything that happens in and around the child and school’s ‘lived’ experience (John Dewey; Experience and Education). The school’s curriculum is even the thoughtful, (or thoughtless) approach to student testing and assessment. A school’s curriculum is reflected in its lunch period culture, guidance and counseling services, disciplinary codes and procedures, its utilization (or underutilization) of the school library, recognition and rewards programs, clubs and teams, and yes its talent shows! A K-12 Education is a Foundation for Life-Long Learning, Knowing and Protection… Or, what you did not learn in school, can hurt you! The average citizen, understandably, never fully understands how skills, knowledge and competencies are systematically and sequentially built, in sync with human developmental psychology, over the learning life of a human being. Or, the links between formal and informal education, language and thinking, playing and learning, how pre-reading skills are transformed later into advance analytical-critical reading skills. It is the important evolutionary ‘how’ of writing a graduate Sociology doctoral dissertation, or successfully completing a college course in ‘calculus for engineers’, that begins in the concepts and skills learned in pre-K, kindergarten, and then continues to converge and build on itself through elementary, middle and high school learning. In fact when we speak of: “learning or achievement gaps”; we are in part speaking of children being pushed into a new learning environment (grade-school, and in the case of high school college, or the workforce), unprepared to properly engage the new situational academic requirements; because the student did not learn or master (was not taught) the skills and concepts in the previous learning situation that will allow them to comprehend and confidently engage the new information and competencies. This is true in part or whole, because the ‘new learning’ is based on the structural elements of the previous learning. There are also ‘cross-curriculum’ correlated skills requirements that profoundly effective learning. If in a previous grade or school a child has not mastered the course appropriate grade level required English Language Arts (ELA) skills: struggling to: read, write, speak or listen effectively; then they will struggle in trying to engage other non-ELA subject areas (history, foreign language, science, mathematics, etc. ), when trying to ‘listen-learn’ in response to verbal instruction’, take notes, use a textbook, write an essay, study, successfully answer short or extended responses (essays) test questions. Even as they may have the ‘brain capacity’ to do exceptionally well in those subject areas. There is a real and terrible ‘gap’ between some student’s capabilities, and their ‘real abilities’ to properly engage school work that gets harder as they get older; a ‘gap’ between interest, and the level of prerequisite skills they may bring to the next-higher level school, or class/course. That is why when you talk to high school students who are avoiding advance science and mathematics classes, they will still say that they like and would want to engage these courses, “but…” Which translates into: But if only they could effectively compete (and not have their deficiencies revealed) with other students. What you don’t learn (and learn well) in K-12 school, can and will hurt you! A lot of students are excluded from pursuing a Science, Technology, Engineering and Mathematics (STEM) career, because they did not master (not just pass) algebra in high school, and they did not master algebra because they did not master (was just passed on to the next grade) elementary school arithmetic, or middle school pre-algebra mathematics skills. Many of these students could, and would love to pursue a STEM path, if only their K-8 mathematics (pre-algebra) deficiencies, and then their high school algebra insufficiencies, did not weaken their competence and confidence in taking on these advance STEM courses. All that we learn (or should have learned) in our K-12 school experience serves as either the foundational prerequisite of, and/or the connection to greater learning opportunities, both in schools as well as in life. And that is why without a radical, innovative and dynamic school leadership intervention plan**, that disrupts the educational status qua; all potential US college STEM majors will be selected (or deselected) somewhere between Kindergarten and the 3rd grade! And that’s for mathematics, if the child reaching third grade can’t read somewhere around a 3rd grade reading level, then they may be headed for some other serious future societal problems unrelated to obtaining a STEM career as an adult. And so, this is why I often suggest that just about every problem we face in our nation is in some significant way connected to education. And more specifically, to what people were taught poorly, or not taught at all, in their K-12 school learning experience. Wait, you mean in a church of 16,000 people, not one person took a Global/World History class in high school where they learned that the “Republic Of China” was dissolved in 1949, and transformed into the People’s Republic of China? And where were those critical K-12 English Language Arts skills that would help at least a few church members to notice that the essential word “People’s” was missing from the bonds! And what about those K-12 school science courses that should have nurtured inquisitiveness skills, assisted by the acquired high school library research skills, (and perhaps even a high school economics course), that would have pushed some curious congregant to investigate the ‘bonds’ past performance; and then found out that they did not have a past! Yes, our public schools are in need of a lot of ‘corrective actions’. And, it also true that our: in need of much repair national education system does more harm to some students than to others. But our present K-12 curriculum behavioral and conceptual objectives are a good place to start the change process. For contrary to what is projected by many of our well-meaning, and well-organized parents and educators, a “National Common Core Curriculum & Standards” already exist, and it is tested by performances on yes, Standardized Exams like the: AP, SAT, ACT, GRE, MCAT, LSAT, PRAXIS, etc. … as well as showing up on a countless number of other professional career certification exams and degree requirements. The above future career aspiration ‘academic gates’, will more likely grant access to students who have been exposed to a rigorous K-12 academic learning standards curriculum, high expectations, high quality school building leadership, and a consistent (year after year) effective and efficacious classroom Instructional experience. These National not Common for all Core Standards of learning are required, if the child is to make it onto the path of the least academic obstruction and hindrance in pursuing a professional career in anything, from an Accountant to a Zoologist. A rich, strong and substantial K-12 educational experience is, but is not only about, a future college major and a career. It is also about becoming a better person, a more thoughtful, inquisitive, reflective, and questioning citizen and human being (and with the above example, a better and more discerning pew sitter). And so, if our present not so perfect common core of rigorous standards and curricula, could at a minimum be equally distributed, taught and learned effectively by a wider segment of US children, they would be better prepared to become successful post high school adults. Even if they miss, or misunderstood the point that what they learned in their K-12 experience was of life-long value. It would also protect Americans from those who would seek to take advantage of what those citizens did not learn in their K-12 schooling; whether those evil misleaders operated from the pulpit or the White House. It would be easy to be an ethical educational leader, if not for a persistent common core of ethical standards…. It is hard to be an ethical educational leader, when you suffer from a deficiency of personal positive and progressive ethical standards. 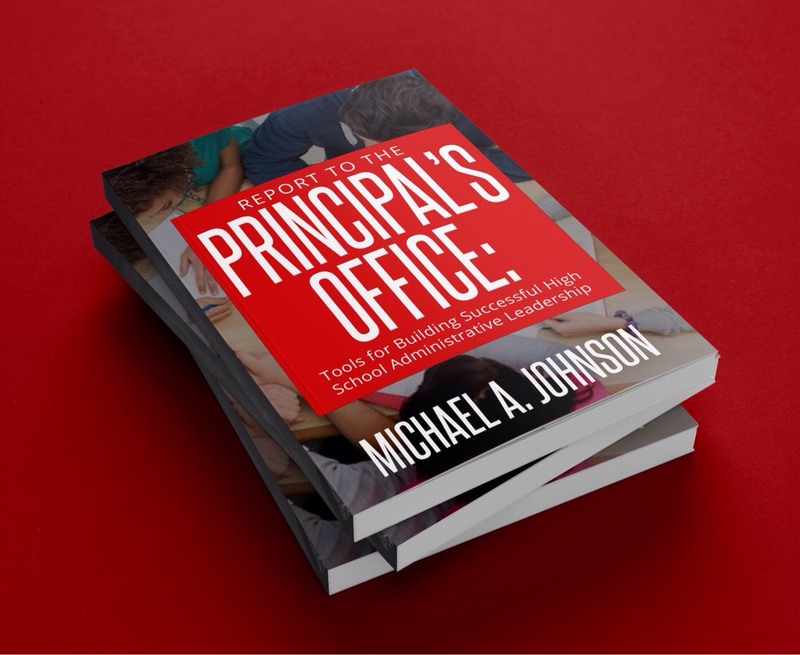 In my soon to be released book: Report To The Principal’s Office: Tools for Building Successful High School Administrative Leadership (http://reporttotheprincipalsoffice.net/). I dedicated an entire chapter to: The Ethics of the Principalship. It is the first chapter in the book perhaps because subconsciously I was thinking that: If you don’t successfully confront and climb the personal and professional ethical practices mountain, then maybe all else that you attempt as an organizational leader is lost! All decisions you will make as to things like: hiring-personnel, curriculum, scheduling, course offerings, discipline procedures, student academic support services, the treatment of students who arrive unprepared academically, or emotionally to effectively engage in the high school experience, the children of the linguistically, financially and informationally under-resourced parents, etc. ; all work-thoughts-actions will untimely be driven by your core ethical principles. As public educators we surely live in the ‘real political world’, but we can’t be only of and about what that ‘real political world’ represents. That is why we educate children regardless of their (or their parents) citizenship status. We don’t despise, or deny the poor students our best efforts, simply because of their poverty. If anything we fight hard to enrich and empower their school experience, so that they can overcome the societal created obstacles and barriers to their success as adults. We must educate all children, regardless of the level of ‘parental push’ the student brings when they enter our school doors! And that is because our ethical values compel us to see all children as equal gifts, of equal value to the world. I suggest in the ethical chapter in the book that if you cannot take a strong ethical leadership position on behalf of all students under your care, and in particular for those children for whom you may be one of the few non-family champions for their best good, then it does not suggest that you are a bad person; but it may suggest that you should not be an educator, and especially not a leader of a school. First full disclosure: Throughout my life as an educator, and at every stage (teacher, principal and superintendent), I have sought to serve well all students of many different nationalities, ethnicities, economic-class status, colors, sexual orientation, disabilities, religious beliefs (or no religious beliefs), etc. ; without exception. The safety and educational success of every one of those students was equally important to me. I confess that I have provided the necessary extra support needed by those students who were either lacking in parental support, or were educationally and emotionally mistreated in a school setting before coming to me; the students of extreme poverty, students with obvious and hidden learning hindering disabilities, the homeless students, those students in group homes, students whose parents don’t speak English, students with one or both parents in prison, the forgotten, the ignored, the politically unrepresented, unheard and uncared for students. The commentary by some Black Americans that is dismissive of the youth organized National “March For Our Lives” activities; because no such march was organized by ‘White America’ and supported by the news media for the too many slow-daily mass murdering of young people of color in our nation, by civilians and police. And so, I don’t care if it is the “whitest” school in America, I want those children and my colleagues in that school to be safe, and not be senselessly slaughtered. I don’t want any parent in America to be forced into the incongruous and inconceivable tragedy of being forced to bury their own child. This pain was felt by both my brother and sister who had to bury their own children. It is a pain that is never ever silent, it sadly whispers for the rest of the parent’s lives. Justice and righteous can’t be situational, and I refuse to be placed in a limited caring and concerned box. My visionary hope for the world, which for some based on the 2016 election results could be a ‘nightmare’; is a world where no parent in any part of America is forced to bury their child. A world where all children can live and learn well in peace. I don’t want to copy the worse primitive elements of American culture. I want to completely eliminate exploitation and oppression, not be in replacement charge of it. If we become like Trump, his allies and faithful followers, then we have, and are, truly lost. 2) My protest and advocating concerning various causes and challenges we face as an earth family, is not limited to, or contingent upon the problems that African-Americans face. Nor will I be silent until that moment when African-Americans are fully free in our nation. And I will also not wait for others to muster the moral courage to act outside of their debased tribalism; not waiting for everyone to want for other people’s children, what they desire for their own children. A life in public education has ‘ethically inoculated’ me after seeing so many educators (Black, Asian, White and Latino) providing first class educational experiences to their own children; and then offering a second (3rd, 4th, 5th…) class educational product to parents, who like them only want the best for their children. Seeing this unethical and unprofessional behavior never dictated my actions, nor did it determine my professional behavior. The forces of evil and oppression are not a localized and isolated Black problem. That “Mexican Wall” mirrors with intent and purpose the “Walls” that prevent Black children in the US from fully realizing their true gifts and talents. The dismissal and disregard of Puerto Rican and Native American children, is reflective of the same treatment of Black American children as they desperately try to escape from the political storm wrecked, rigor-less, uncaring and under resourced school and classroom. I will not wait for the carnage visited upon young people in Chicago and other inner cities to stop, before I cry out for the Nigerian girls whose lives and dreams are being violently destroyed when they are kidnapped by Boko Haram. I can, and will do both. There is a sad equality of suffering for too many children in this world; because they are all connected by their physical and psychological pain. The North African-Middle Eastern child losing an essential educational and childhood experience while trapped in a refugee camp; the Haitian child suffering from the indifference of so many leaders who, although look like them, have betrayed the meaning and purpose of their nation’s great independence efforts. No malicious suffering purposely inflicted on children, anywhere can be rationalized or accepted. The level of political awareness of their parents is not a required prerequisite, a practical or ethical concern of the ethical professional educator; in the same way that my friend Dr. Mark Walker the Atlanta trauma surgeon is not concerned if the victim of a car accident is either a registered Democrat or Republican. 3) Finally, I thought the young people did an outstanding exemplary job not only with the march; but also in their presentations on many different news media platforms. The students regardless of race, religion, school or community sent the same articulate message: gun violence of any type, anywhere in America, against any American is unacceptable, and must end. They seem determined to not let adults divide the gun war against children problem by community and race. I have always been a champion of high expectations, but to be fair, these young high school students who organized the: National “March For Our Lives” protest-movement did not invent American racism. And despite thousands of anti-racism marches by many adults, for many years before they were even born; we still find ourselves in 2018 with a POTUS and his Party working successfully to make America harmful, hurtful and unwelcoming to Black Americans and “others” in our nation, again. Yet I think the young folk’s response and resistance to the natural American inclination to make some lives worth more than others was tremendously thoughtful and inspiring. I applaud their efforts, and in this season of hatred and harmful rhetoric emanating from the White House; their brave words and works give me hope for our nation’s future. Others can choose to model their political actions on the selfish and racially restrictive behaviors of some ethically and morally challenged Americans. They can follow the pharisaical hypocrisy of the Religious Evangelical (not so) Right; or people who hold on to the idea that: “my child can only be successful, if someone else’s child is harmed and diminished”. Or: “For America to be great again, large parts of the citizenry must be excluded from that greatness”. The only thing more tragic than the existence of these ungenerous and ungracious individuals, is if they convince the understandably frustrated kind and thoughtful people of our nation to think and act like them. “A failed retiree”: I would be much more generous in my assessment of Ms. King. I am thinking that if your professional life-work was exciting, rewarding and fulfilling (and it seems that hers fits that criteria), then you might come to view traditional retirement as terribly overrated. 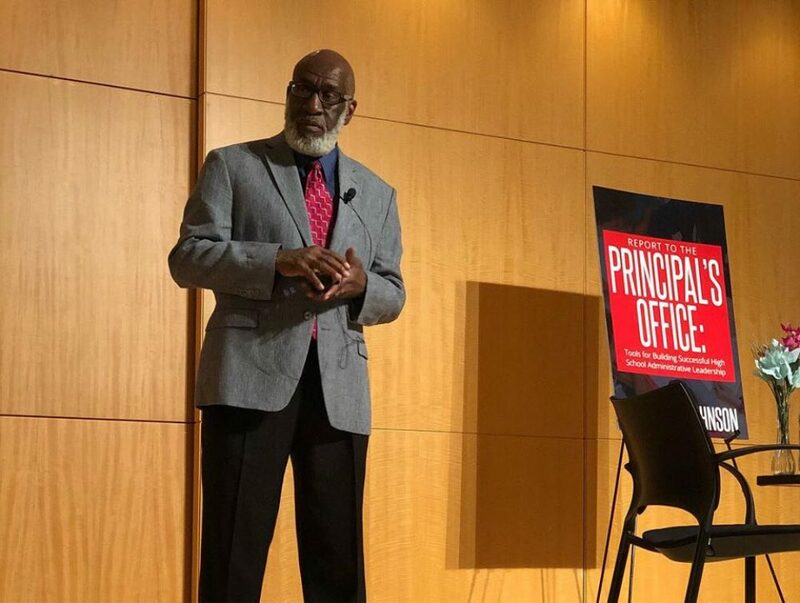 As a retired school teacher, principal/superintendent; I find a disconnectedness in my conversations with other ‘retirees’ who hated their jobs, and could not wait to retire. I loved every moment of my life as an educator, as challenging and difficult as it was at times. I now have taken on several new jobs (on my own terms): working with individual and groups of students on expanding their involvement with STEM; mentoring present and aspiring school building leaders, and writing a soon to be published book on school leadership: Report To The Principal’s Office (http://reporttotheprincipalsoffice.net/). But I question if the ‘retirement model’ most often presented isn’t based on a particular ‘national-historical culture’, the individual personality type, attitude toward and feeling about the ‘work’, and to which occupation/vocation the ‘retiree’ was attached. Clearly, going to ‘Work’ for some may have brought significance and meaning to their lives, and for others it might have represented the daily drudgery of meaninglessness. And for some can a job-employment be, using a grammatical metaphor, a comma or semicolon, rather than a period between the person’s life inside and during, and outside and after, the ‘job’? And can one truly retire from a calling? Perhaps there is no ‘one size fits all’ for decisions related to work, leisure time or retirement. And so maybe each person must find their own path, and place of joy, peace, productivity and fulfillment, in and after work.